One of our most innovative local brewers, Side Project Brewing, is part of a nationwide innovation project hosted by Firestone Walker Brewing Company. 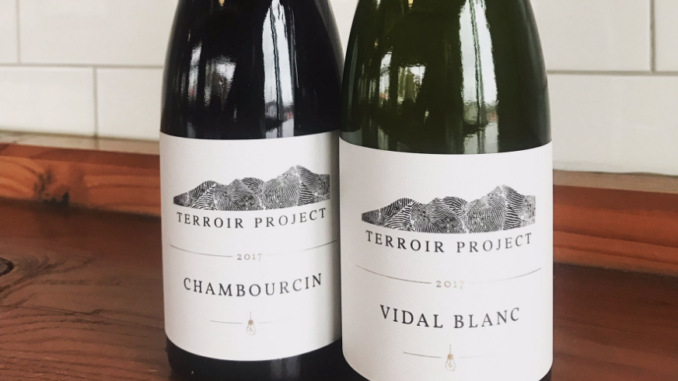 The project is called the Terroir Project, (pronounced Ter’wär) and aims to bring together breweries passionate about wild ales to create hybrids between beer and wine. Each project member attempts to brew the same beer while allowing for local influences to take shape and see how each creation differs. Each of these beers are wild ales that were made as one-offs for this specific event. Each participating brewery was invited to produce their own distinct hybrid, but with three binding stipulations: they all had to use the same grain bill; the same maturation period in barrels; and the same co-fermented percentage of wort & wine grapes. The kicker: all grapes had to be grown within 100 miles of each brewery. Side Project partnered with Augusta, Missouri based Noboleis Vineyard, and used their Chambourcin & Vidal Blanc grapes for this hybrid. Now, it’s time to see what Side Project has created.